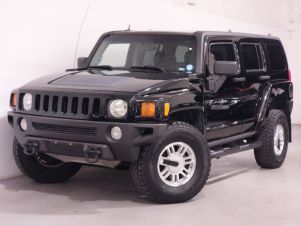 Find the perfect Hummer car today at Carsnip. We’ve got over 27 used Hummer vehicles available, and our intuitive search system means that you can make the best decision in the easiest way. We’ve made buying your next car easy. Browse over 27 vehicles below. The first Hummer hit the roads in the US in 1992 – the H1 was a civilian off-road offshoot of the military Humvee, with the performance – and discomfort – to match. The H2 model was a larger, more luxurious version with enough room for seven people. The smallest variant, the Hummer H3, competes with the likes of the Nissan Pathfinder in the SUV market. Hummers are unabashedly big, brash, statement vehicles.